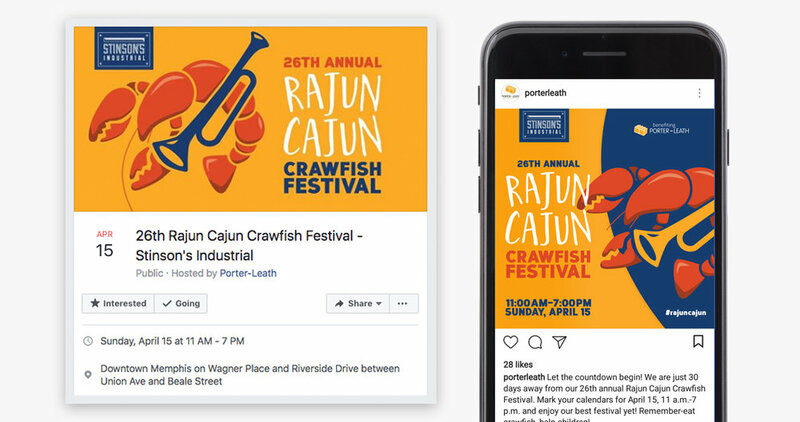 Kelley & Associates developed the logo, poster, t-shirt, billboards, print & digital ads, and website graphics & social media graphics for the 26th Annual Stinson’s Industrial Rajun Cajun Crawfish Festival benefiting Porter-Leath. Find more information about the festival here: https://www.porterleath.org/rajun-cajun-home. Kelley & Associates is the official design and marketing sponsor of the Rajun Cajun Crawfish Festival.